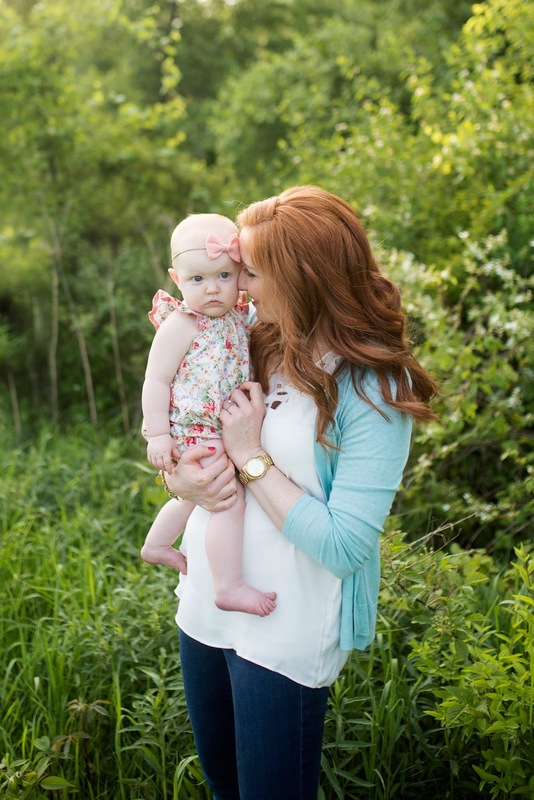 When your baby might be sick…. 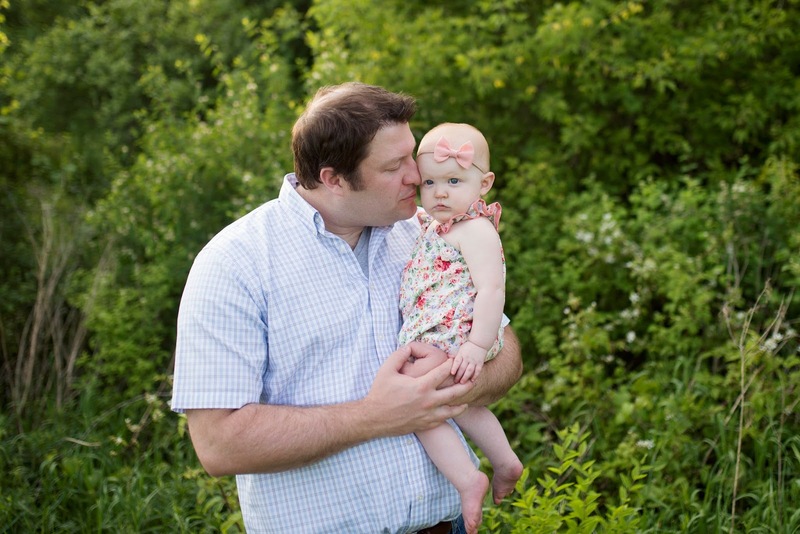 First, let me start off with a big thank you to everyone who reached out to me and prayed for our little girl. You did it without knowing everything that was going on and I really cannot express how much I appreciate you all. Sadie is 100% happy and healthy. But for about a month we were terrified something was seriously wrong. 1. Be vigilant with your children and their health. YOU are the parent and YOU are the one that will notice if something is different and/or wrong with your child. And if you notice something funny, SPEAK UP. Make that doctor’s appointment and advocate for your child. 2. Our children are not our own. They are a gift from God. We get to love on them and fight for them and take care of them. But ultimately they belong to God, and not to us. As a Christian, I know this. But realizing just how true it is can be scary. Trusting in God even when things are scary can be hard. It all started with my husband. Thank God for him. Jon was holding Sadie one Sunday evening while I was cooking dinner and he noticed a small lump on her upper back/shoulder. He told me right away, and I went over to feel it. I totally brushed him off and said it was normal and probably her shoulder blade. I went back to cooking but Jon was persistent. Again, thank God for my husband. He said no, there is a bump here and it’s not normal. I went back over to feel it and sure enough, he was right. And I just froze. Jon took Sadie over to my mom’s house (next door to us!) and she felt it too. And right then, I started freaking out. My baby has cancer! It’s a tumor! WTF is it! What do we do???? Thankfully our next door neighbor is a pediatrician so Jon took Sadie over there for her to check it out. I stayed home with Hudson trying to calm myself down and not freak out. Our neighbor said it was definitely a lump and that she would recommend we get an ultrasound to check it out. So the next day I called Sadie’s pediatrician and made an appointment to see him that Wednesday. And then silently freaked out for the next three days. At the appointment her pediatrician also recommended an ultrasound, which we set up for the next week. During the ultrasound, Sadie was a champ….but as soon as they put that wand (or whatever it’s called) on her back my husband and I saw it. A dark and scary grape-sized lump. It was solid black…and I just knew that couldn’t be good. The tech said they would call us in a few days with the results…but if it was something more serious we would hear back sooner. Sadie’s pediatrician called me 4 hours later. And I started crying as soon as I saw his number on my phone. They couldn’t tell what the lump was and that he was recommending Sadie get a sedated MRI to get a better look. When I called the hospital to schedule her appointment, I was originally told the earliest she could get in would be in 2 weeks. TWO WEEKS is an eternity when you have a child that might have something really wrong. Luckily, my mom used to work at the hospital and she let her old boss know what was going on….who pulled some major strings for us and got us an appointment that Saturday morning (2 days away, instead of 2 weeks). I was thrilled to get Sadie in earlier but at the same time upset for all the other families that have to wait because they don’t have the connections that we have. I’ve been praying every day for families in that situation…because that is so hard. And I’ve written a letter to the hospital about it too. Anyway. Sadie’s MRI was scheduled at 7:15 a.m. which was a huge blessing, even though it involved us getting up early! She was going to have an MRI with and without contrast, which meant she would need an IV and that she could not eat or drink anything after 2am. We were able to get her up in the morning and put her straight in the car and go to the hospital. Thankfully she was so confused she didn’t beg for any milk. If our appointment would have been later it would have been so hard not to nurse her! The absolute worst part about the MRI was the IV. They had to hold her down and ended up sticking her three times before getting it. And it just about broke my heart. Thank God again for Jon because he helped hold her down while I tried not to cry in the corner. Thankfully that was the worst part and it was over within a few minutes. I was able to carry her in to the room where they did the MRI and the anesthesiologist let me hold her while he inserted the sedation medication in to her IV. She was out within a few seconds and I was able to lay her on the bed and giver her a kiss goodbye. She just looked like she was sleeping. The MRI took about 45 minutes and then it was done! Sadie woke up totally drunk from the medication and it was just about the cutest thing EVER. She was pointing at the lights, babbling, and just so dang cute. I was able to nurse her right away and soon enough she was back to normal. We took her home, gave her some extra cuddles, and waited for the results. The whole time my husband and I just had a feeling this wouldn’t be the end of things. And we were right. The next week Sadie’s doctor called and said they still were not able to tell what the lump was. He consulted a pediatric oncologist and she recommended we get a doppler ultrasound. Which is basically similar to the first ultrasound but this time they were going to focus more on blood flow to the lump. I was freaking out that an oncologist was involved BECAUSE CANCER. But they didn’t seem to think it was cancer….so that was good. But still terrifying. So we went back to the hospital for an ultrasound. This time Sadie was not having it and would not sit still. I think we were there for at least a hour trying to see the blood flow to the lump. Which of course they couldn’t. If you’ve made it this far, thank you. You are a good friend. Anyway, we found out the 2nd ultrasound didn’t show anything different and the next step would be to speak to a surgeon about a biopsy. At this point, Jon and I just wanted it all to be over. And we knew a biopsy would be inevitable. We thought maybe the surgeon would just do a needle biopsy, but it turns out he thought surgery to remove the lump would be best. We left the appointment a little shocked, but ready to get that lump out of our little girl. The surgery was scheduled for the Friday before Memorial Day. We lucked out again and got a super early surgery time….and had to be there a little after 6am. Sadie was so confused by everything and so tired. 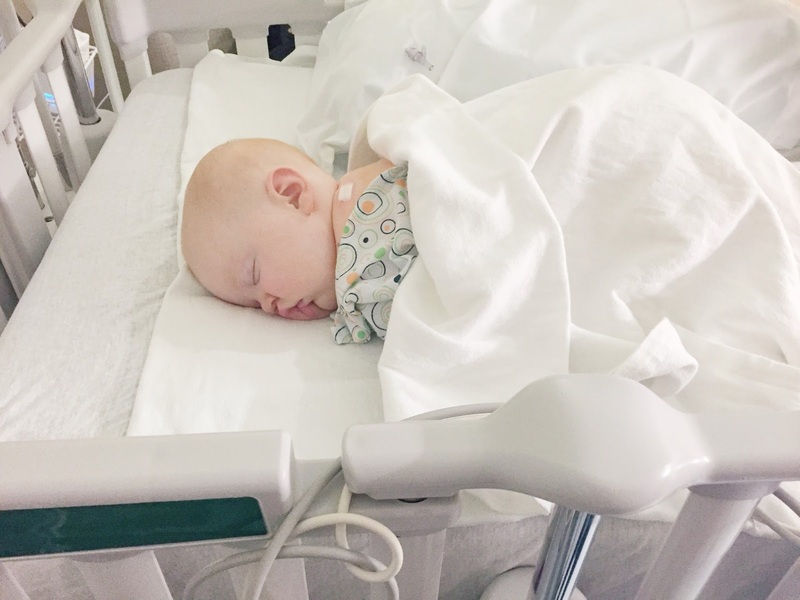 This time she was going under general anesthesia, so they were going to wait to put her IV in after they had given her some gas to make her sleep…which turned out to be the biggest blessing. First, we didn’t have to watch the IV madness again and second, they ended up poking her 5 times to get it in. FIVE TIMES. We met with everyone before her surgery and the anesthesiologist decided to give her an oral medication to relax her which would make me handing her over a little easier. It totally helped but Sadie was MAD about taking it! So we handed her off to the doctor and then waited. The whole thing took about a hour, mostly because of the IV trouble. And here is our sweet girl in the recovery room. You can see the bandage on her back…she has about a one inch incision, which really isn’t that bad at all. It took her a long time to wake up, and when she did she was super cranky. I fed her, rocked her, and finally got cleared to go home since she was doing so well! The whole day she was sort of out of it. She was exhausted and just wanted to sleep…but refused to sleep in her bed. So she slept with Jon for about 2 hours in our bed, and then slept with me on the couch for a few more hours. The next day she was back to her normal self. Praise God! We found out a few days later that the lump was benign and something that it likely would not happen again. They don’t know what caused it, but I’m so thankful it’s out! And I’m so thankful my baby doesn’t have cancer. Even though we were told early on it was unlikely to be cancer it was still in the back of my mind during this whole ordeal. Sadie is now happy, healthy, and completely back to normal, minus her small scar. Thank you again to everyone who prayed and sent good wishes our way. « The family that laughs together…. Oh Julie! That is one of my worst nightmares. Thank god you guys noticed and took action right away. Also thank goodness for good doctors who pull strings to make things happen. I'm so glad Sadie is healthy and all is well. Such a blessing. Oh my gosh- how scary! I can't imagine the constant worry for those few weeks. So glad it ended up being ok.
Oh Julie how scary for you all!! I can't even imagine how those few weeks felt. I so happy to hear that everything ended up ok for Sadie. God is good! Oh Julie, I was tearing up just reading this. I can't imagine how terrified you must have been through this whole ordeal! I'm so relieved this story has a happy ending and the lump was benign! And I know what you mean about the IV! Noah had to go under anesthesia at 6 months and I was so relieved that they did the general with the gas first! It's so hard to watch all this happen to your baby. It's so scary when our babies our sick or hurt! We've been at a Children's hospital twice with Stella and both ended up being "false alarms". I'm so glad Sadie is happy and healthy!! I'm so happy to hear that Sadie is perfectly healthy! What a scary ordeal. I could barely handle seeing Finn in the ER what with the tiny hospital gowns and bracelets. I'm boost can't imagine. Oh my gosh girl, what a scary ordeal. So glad you guys acted upon it, I really do think we know whats best. So glad she is ok, and that this whole thing is behind you guys now. Julie, I am so thrilled to learn that it is benign but what an absolutely terrifying experience. It must have been the absolute worst thing to have to go to. And it does make us all so thankful that our babies are healthy and happy! Hugs and kisses to you and yours! Oh, what an ordeal!!! So happy it turned out okay. First of all Praise God she is ok, but also praise you mama. I know its not easy to deal with a sick baby or the thought of a sick baby. Thank you for talking about it and letting everyone know to be an advocate for their babies. What a complete nightmare, so very terrifying. I'm so glad it wasn't anything like cancer. How scary! I'm so glad everything turned out well. Praise God for all His works! So glad to hear Sadie is okay!! I could not imagine that period of worrying and wondering. This is so scary. You are one strong mama & kudos to your hubs for noticing it. Most of all, yaaaaay for Sadie being ok! Bless your heart, mama. Of course, you know I was praying you guys through this whole thing, but to see it all laid out in words and pictures…so, so, so terrifying. I am so very glad that Sadie is okay. She is an absolute champ and so are you (and your hubby too!) I can't imagine what you were going through for those few weeks, and am so very glad that it's over now and all is well. Love you, sweet friend! So scary!! I'm so glad the results turned out the way they did. But a good reminder to pay close attention to our sweet babies. I read this entire post with a knot in my stomach…and I'm just a reader! I don't know how you survived all of the anxiety and worry. I'm so so thankful to hear Sadie is okay! You and your family are so strong, and your faith is incredibly inspiring. I am so happy she is okay. As a mama of a sick child, it is the biggest nightmare not knowing. Praise Jesus!! 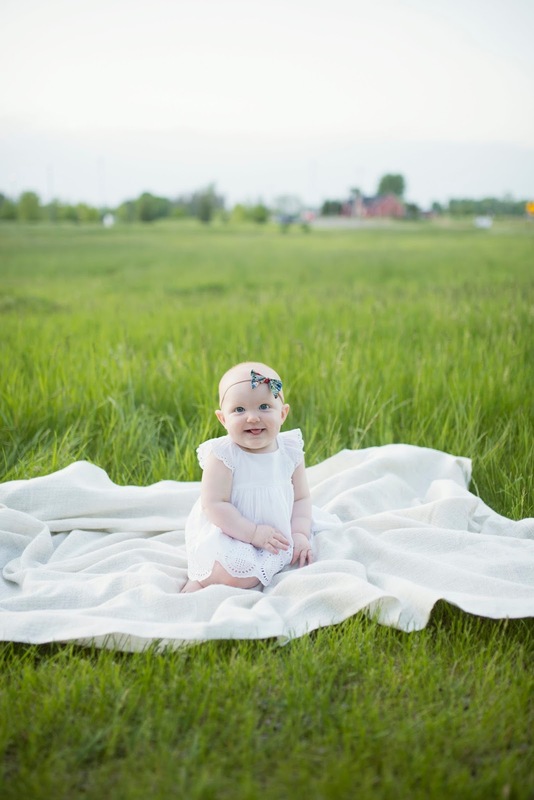 That little scar will fade with time, but the reminder of what a blessing she is will be there each and every time you stare into her sweet eyes or squeeze her. So scary Julie!! So glad she's ok and that it's not something you have to likely worry about in the future. Sending lots of love your way! Huge hugs! So glad your baby is ok. This is the scariest thing ever, I'm so glad she's ok! 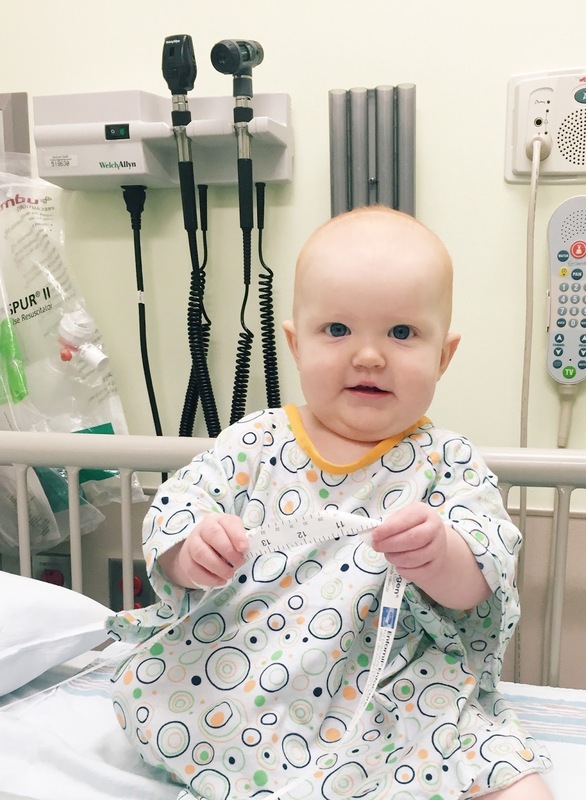 Jude had to have an outpatient surgery when he was about 6 months old and watching him wake up from anesthesia was the cutest thing ever! I'm so glad your prayers were answered and she's doing well! That is so scary. Thank God it was benign and she is happy and healthy. Praise God she's okay! Such a scary time! What a scary and traumatic time. I'm so glad Miss. Sadie is ok. I tell you, parenting is not for the weak! I talk to my sister about that all the time. I think about having more and then I think back to the times they've been sick or just really hard times. So thankful Sadie is healthy and happy. A high school acquaintance of mine youngest daughter has leukemia (just turned 2) and has been battling for 14 months or so of her life. It is heartbreaking to witness, these children are true warriors. I can't fathom being in those shoes, it is so devastating. how did i miss this? yes! best message – nobody is looking out for your family like you are. be your own biggest advocate! i'm so so beyond thrilled your best gal is ship shape…and obviously as cute as ever. Oh gosh, Julie, I have tears in my eyes just reading this. I'm so glad that everything is okay. I know it was is a huge relief to have answers so you guys can put everything behind you. Oh sweet friend! I am so sorry you guys had to go through this. I am so glad you got it taken care of, but can't imagine how hard it was. Praising Jesus that she's okay! Big hugs!! First, I am so glad she's ok! Second, I had tears reading this, because I would've felt the same way you did. It's hard when something like this happens and we're helpless and can't fix it. Oh my. I am so sorry that this happened to your daughter. I am so glad she is doing better and it wasn't cancer. I was scared the entire time reading this post. Thank you for sharing. What an emotional roller coaster, Julie! I'm just so thankful that your beautiful girl is okay after all of that and I hope that you don't have to go to another dr. visit or enter another hospital for a very, very, very long time! That is really scary. Very glad your daughter does not have cancer. Oh Julie, I'm so so happy to read this happy ending!!! I know it must've been terrifying. So glad sweet Sadie is happy and healthy! So so happy she is okay and cancer free! I would have been terrified! I'm so glad to read that Sadie is healthy! !